The iBA degree program reflects York's commitment to internationalization and requires students to acquire an international language and to gain international experience on exchange at one of York University's partner institutions abroad. Students benefit from enhanced interdisciplinary and cross-cultural knowledge, which are important components of the department's academic focus. 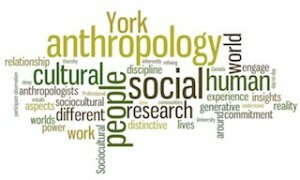 York's Anthropology Department focuses on the theories and methods of anthropology to explore how people in the world are subjected to, participate in, and contest the processes of living in a world that is interconnected by new and powerful economic, cultural and technological forces. Experience at least one full term abroad as a full-time student at one of York's exchange partners. 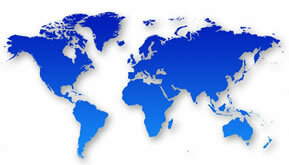 Exchange locations include: Australia, Austria, Barbados, Brazil, China & Hong Kong, Croatia, Czech Republic, Denmark, Ecuador, England, Finland, France, Germany, Greece, Guyana, India, Ireland, Israel, Italy, Jamaica, Japan, Latvia, Lithuania, Mexico, The Netherlands, Norway, The Philippines, Poland, Russia, Singapore, South Korea, Spain, Sweden, Thailand, Trinidad & Tobago, Turkey, USA, Uruguay, Venezuela. For more information about the program, see the program description, and the York International website for options and regulations. A number of scholarships for studying abroad are available through York International as well as the federal Canadian Bureau for International Education and the Ontario International Education Opportunity Scholarship (OIEOS). ALL iBA students are required to complete the following 3 credit course AP/ANTH 2300 3.00 Intercultural Training Skills before their international exchange term abroad experience. Note: This course is considered to be outside the major (even for ANTH students). This course prepares students to negotiate their learning goals in a cross-cultural context while on university exchange. Topics covered may include culture, participant observation, culture shock, risk & safety, managing intercultural conflict, friendship, travel, politeness, cleanliness, gender & sexuality, gifts, poverty, religion and health. The Department of Anthropology, University of Copenhagen, Denmark (click on Exchange students). The Department of Humanities, Uppsala University, Sweden. The Institute of Social and Cultural Anthropology, Freie Universität, Berlin, Germany. The Department of Anthropology, University of York, York, England. The Department of Humanities and Education, University of the West Indies, Trinidad. The Department of Anthropology, Dokkyo University, Soka, Japan. The Department of Sociology & Anthropology, National University of Singapore, Singapore.